What on earth would be the point of that? 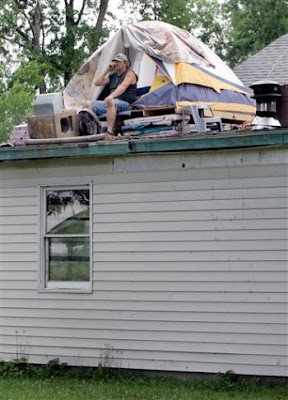 If those flood waters hit him he's not going to be able to stay on the roof. He'll likely drown and lose his life along with his house.